You have 5 days – March 7th to March 11th. You have $1.50 per day to feed yourself. Join the EWB-BU team this year as we try to Live Below the Line! 1.4 billion of the world’s population lives on less that $1.25 per day, in extreme poverty. Many people are suffering as a result and should not be allowed to continue. That’s where Live Below the Line comes in. 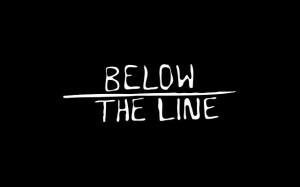 Live Below the Line is a fundraising campaign to raise awareness of the difficulties people face when living in extreme poverty, when sustenance is hard to come by. This is done by challenging people in developed countries to live under the same conditions (eating less than $1.25 worth of food per day). “To really tackle extreme poverty, we’ve got to try to understand it – and what better way than by spending just a few days living below the poverty line.” We often hear that most of the world lives in unimaginably difficult conditions, but this information is not realized until it has been experienced. It’s easy to sympathize, but it’s harder to empathize. And only when that empathy has been realized can one truly just begin to grasp the severity of the problems that 1.4 billion of the world’s population have to contend with. Good luck with the challenge, everybody!